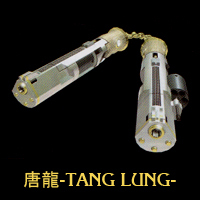 Possessed by the soul of the fastest bird demon in all of Inferno, Tang Lung, these nunchaku spin at blazing speed, unleashing attacks so fast that there is not a god or demon in existence able to see them coming. 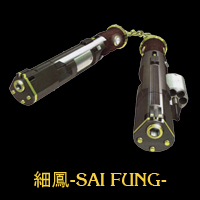 Possessed by the soul of the fastest bird demon in all of Inferno, Sai Fung, these nunchaku spin at blazing speed, unleashing attacks so fast that even a god would be unable to catch a glimpse. The numbers are a birthdate - 19 December, 1411. 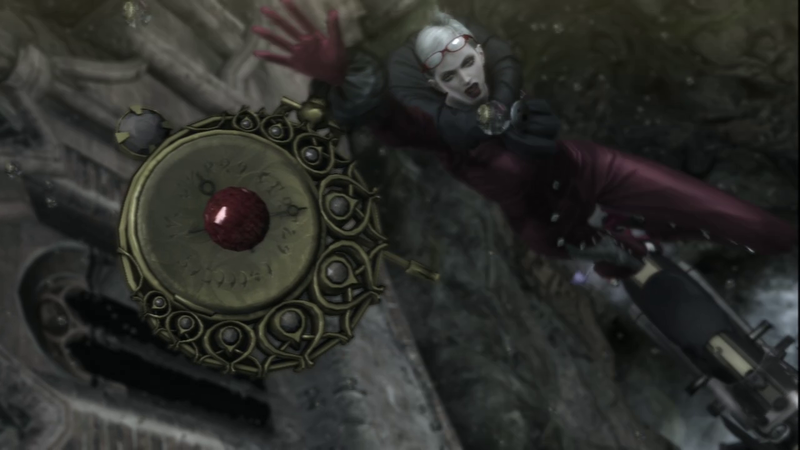 Also makes you wonder why Bayonetta was so confused about Cereza when the name is on her watch. - As far as I can tell there's no way of actually telling what Jeanne's compact says because I can't find a clear shot of it. Mari Shimazaki, who designed both Bayonetta and Jeanne, states that Jeanne's birthday is January 6, 1412. I guess we can assume hers says something along the lines of "JEANNE 141216 IN UMBRA"
- I forgot to mention it but Wicked Weave punches become Wicked Weave palm strikes with the nunchucks. - The full ad for the nunchuck ping pong can be found here.